The official collective mark for British manufacturers, registered with UKIPO across 30 product classes. 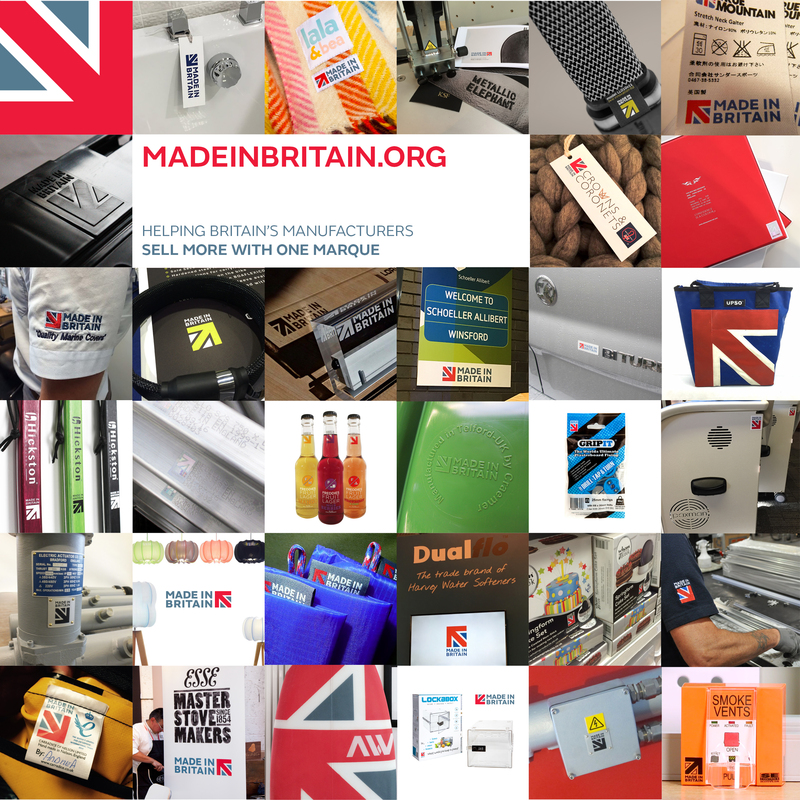 WHO CAN USE THE MADE IN BRITAIN COLLECTIVE MARK? Made in Britain adheres to advice on country of origin labelling included in the Trade Descriptions Act 1968. Country of origin is therefore the country in which a product last underwent a final treatment or process resulting in a substantial change. You can read all about our Terms & Conditions, including eligibility here. Payment of the annual membership fee includes the licence to use the marque, which has already been prepared in multiple version and file types so designers can use it across packaging, in print, on products and in social media. Members all receive a Marque Guidelines Handbook explaining how to make the marque look correct across 100s of different applications. We provide all members with a complete suite of Made in Britain marques in the three formats. You can download these from our website once you have joined. And we’ve mapped out all the file types you’ll need, JPEG, CMYK, RGB, EPS so the marque looks consistent across all the 1000s of ways it is being applied. The Made in Britain marque was created and designed by Kevin Lan and Miranda Bolter at the award-winning British design agency The Partners (merged into new Agency SuperUnion in 2018). Creative Director, Uri Baruchin and Designer Antony Wallis dreamt of a new collective mark that could both unite the entire manufacturing sector and help consumers, buyers and specifiers identify what products are made in Britain. The idea for a collective mark to identify products made in Britain was conceived by Stoves, the Prescot-based cooker manufacturer. The CEO in 2012 was Denver Hewlett. Pioneer of Made in Britain, Denver Hewlett of Stoves from Made in Britain on Vimeo.